Into the Stars delivers intense Roguelite space strategy, but reveals all of its cards too soon. But these encounters aren’t enough to save what is a very mediocre game. Conceptually, Into The Stars had the potential to be a compelling spin on a formula established by the immeasurably superior FTL, but across the board, it is littered with uninspired and dull design choices. Anything resembling a good time is left up to your lackeys while you remain stuck to your captain’s chair, blindly dishing out orders that lead to unforeseeable conclusions, leaving all the best bits up to your crew members as you watch your unfathomably slow space snail of a ship sail to another boring location. Into The Stars offers up a slow-paced but atmospheric space-themed survival sim, combining the gameplay elements of The Oregon Trail and Civilization with roguelike mechanics. Even when you get past the halfway point with people dying, and resources draining, there’s no tension because you’ve done everything you can, and you’re just hopping that the next planet or ship you stumble upon has something of use. Into the Stars is a gorgeously-rendered sibling of FTL, featuring all the tension of collecting resources and fighting space aliens with none of the tedious micromanagement. Into the Stars is the type of game that will push you on those very grounds and once you’re in it, the journey is great the first few times. Into the Stars is a fun adventure with a bit of everything (strategy, action, adventure). It would be just a bit better with improved UI, though. Regardless, it's certainly worth a look. A bland game from the get go, Into the Stars has high production values and a great soundtrack, but it's mired in mediocrity thanks to its gameplay. Humanities last hope... is you! 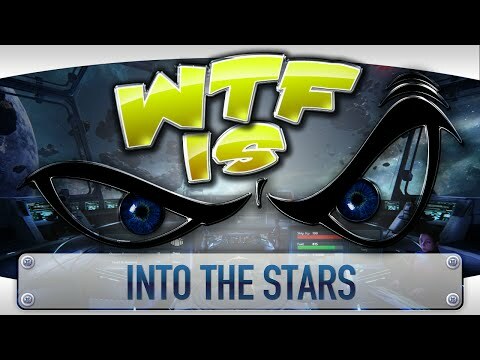 Into the Stars isn't the most exciting or fast-paced game you'll ever play. It is however a decent space simulator that throws enough difficult choices your way to be worth at least a few playthroughs. Fugitive Games has created a unique twist for typical space strategy games, and what they have will appeal to many looking for something that isn’t Elite Dangerous or a typical real-time strategy game set in space. While it could use a bit of polish, Into the Stars could be the next massively popular title where your ineptitude can kill off your family. Or in this particular case, the remnants of the human race. No pressure at all; just be thankful you won’t die of dysentery.